After Chip Linton crashlands his plane in Lake Champlain, causing the death of thirty-nine passengers, he and his family decide to rebuild their lives in rural New Hampshire. The old farmhouse they purchase is a ramshackle affair, full of unsettling wallpaper and hidden weapons, that has seen its share of tragedy. The locals seem friendly enough -- although the local “herbalists” seem weirdly fascinated with the Linton twins, they appear well-intentioned and supply the new arrivals with a steady flow of baked goods and treats. Unfortunately, while Emily and the girls seem to fit right in, Chip can’t settle down. There’s a door in the creepy, dirt-floored cellar sealed with thirty-nine carriage bolts, you see. Its existence nags at him. As do the ghosts of three of his dead passengers -- especially the littlest ghost, who deserves playmates her own age. 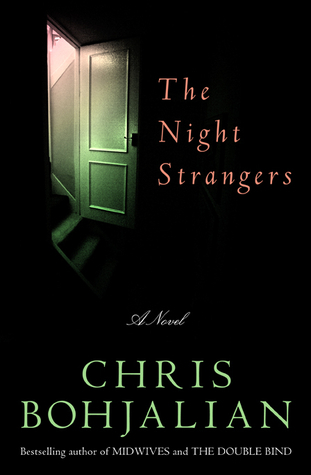 Night Strangers by Chris Bohjalian. Crown Publishers, 2011. Kindle edition. 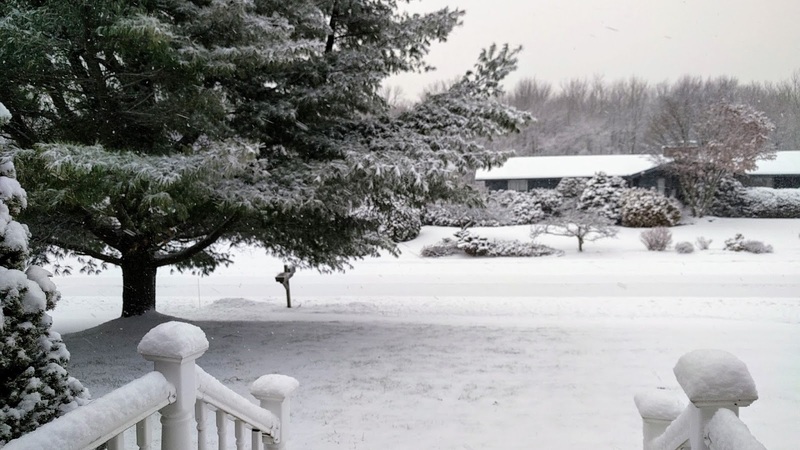 A little snow on Christmas Day sets the mood (and hides a variety of gardening sins). I confess I planned my Christmas Dinner on December 23. Oh, I’d ordered a roast well before then – because roasted beef tenderloin was the obvious choice -- but how I was going to prepare the roast and what dishes would accompany it was very much left to the last possible day. Two weeks before, I got out all my holiday cookbooks with the intention of crafting a tasty menu. But I just wasn’t feeling it. Couldn’t be arsed, even. Christmas could go humbug itself. Which didn’t make a lot of sense, considering I’d been decking the halls and humming carols all the live long day since December 1. I think I was very much looking forward to the fun of Christmas Dinner, but the work of it -- the planning and the shopping -- was something I actively wanted to avoid. Couldn’t we just, I thought, get take out? I could imagine my mother’s face if I ever suggested such a thing. Anyway, I pulled myself together at the eleventh hour and planned a menu. 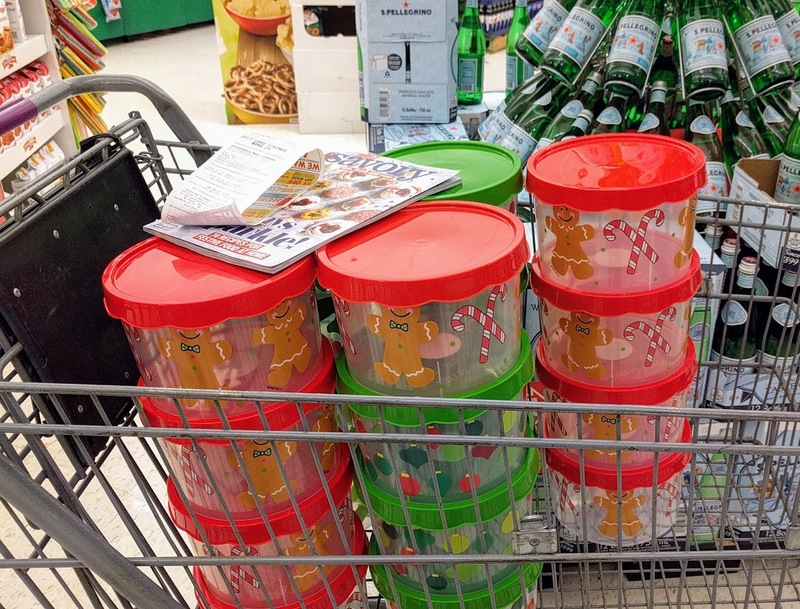 And then we shopped for it Christmas Eve morning ... which turned out to be much less traumatic than I had anticipated. The weather had been bad the night before so many people seemed slow to venture out and we managed to whiz around the stores, scooping up everything we needed became too crowded and I shivved someone with a sprig of rosemary. The beef was fabulous, but you really need to mind the temperature when cooking (and start with a scrupulously clean oven or be prepared to open all the kitchen windows). I took the 7.5 pound roast out of the oven when my thermometer read 135°F with the assumption it would rise to 140°F after resting and be a nice medium rare. Alas, upon carving, it was revealed to be so rare as to be raw and inedible. Disheartened, I threw the thick slices back in the hot oven for 5 minutes and, to my relief, that brought them up to medium rare/medium. It was a truly delicious roast, regardless, and I do recommend the high-heat method. (I did rub the beef with Simply Ghee® Black Garlic Ghee, bought this past autumn at the Connecticut Garlic & Harvest Festival, rather than plain butter for extra pizazz). The horseradish sauce was a great accompaniment. It went together in no time flat and has kept well in the fridge. I did double the amount of horseradish called for as my family likes a zippy sauce. There’s no recipe for the carrots, really. I peeled and thickly sliced all the CSA carrots I had left (about a pound) from the Thanksgiving box and boiled them until tender, then tossed them with butter, salt, pepper, parsley, and a little sugar and let them sit on a warm burner until we needed them. Do not judge me for the use of sugar. It is something my Grandmother Gardner always added to her carrots and it does, imho, bring out their carrotiness. There’s also no real recipe for the broccoli. I took a bag of fresh chopped florets, tossed them with olive oil, salt, pepper, and Italian seasonings and then roasted them in the 500°F oven for the 10 minutes the beef rested. When the broccoli came out of the oven, I tossed it with shredded Parmesan, and plopped it all into a warmed serving bowl. Don’t judge me for the tinned peas. According to The Husband, peas are a necessity when served mashed potatoes and he just happens to like tinned peas best of all peas. I did splash out and buy the 50% Less Sodium Le Sueur® Very Young Small Sweet Peas, because we’re nothing but top shelf at Christmas. Leeks might not be something you’d think about putting in mashed potatoes, but they’re just really big scallions, after all. I had two CSA leeks leftover and lots of garlic on hand so the Betty Crocker recipe was pretty much a godsend. The mashed potatoes were a lovely pale gold, creamy, and yum. Garlicky and leek-y, of course, but not aggressively so. A repeater, definitely. And that was Christmas Dinner. And it was good. And now we shall subsist on (delicious) leftovers until Friday when there may be duck. Hooray. 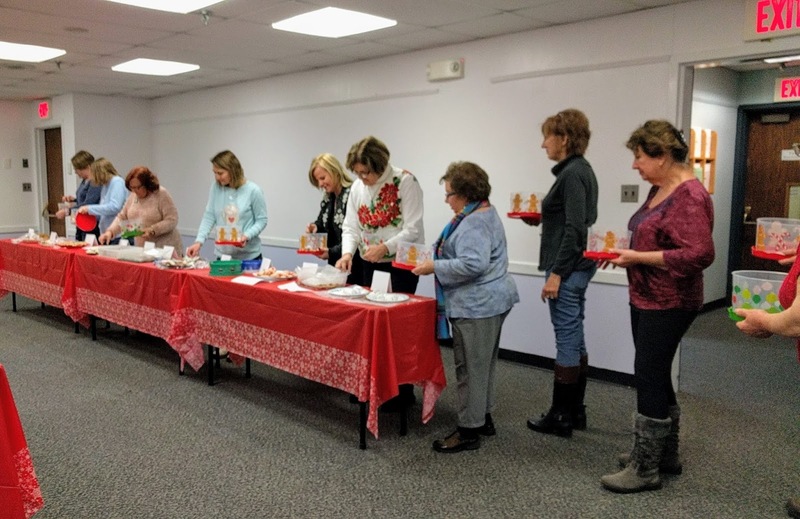 December is a busy month and, while I didn’t want to skip the library’s cookbook club two months in a row, I didn’t want to overwhelm library patrons with additional holiday cooking. So I decided to forgo the usual potluck supper and cookbook discussion format for a cookie exchange. Everyone likes cookies, after all. On the morning of the event, sixteen patrons were registered. Twelve excited patrons bearing trays of delicious-looking cookies turned up that evening and that was fine as I’d planned ahead for no-shows. That was why I had instructed everyone neither to portion their cookies out ahead of time nor to make a specific number of cookies. Make whatever your recipe says it makes (or close enough) and we’ll divide by the number of people who come, I said. As I'd expected, it worked out well that way. I had pre-printed small signs that said “take __” and, after all the patrons had arrived with their cookies, I divided each batch of cookies by 12 and filled in the blank. Obviously, not everything divided evenly and there were leftover cookies, but I just let the patrons go up again at the end and take whatever they wanted. It was an friendly crowd and I wasn’t worried about anyone coming to blows over the Italian Christmas cookies. (Amusingly, they kept trying to get me to take cookies, too, but as I had not baked for the exchange I did not feel I could rightly take any). The library had provided cookie tins for everyone who turned up. I’d found some nice, seasonal plastic ones printed with candy canes and ornaments at Stop and Shop for $2 each. I bought twenty tins and just returned the unused ones after the program. We don’t have the space to keep the extras and budgets, etc being as they are I don’t want to plan too far ahead, anyway. Budget-wise, this was more costly than the regular monthly cookbook club meetings, but still less expense than, say, any of the Doctor Who programs I’ve done. 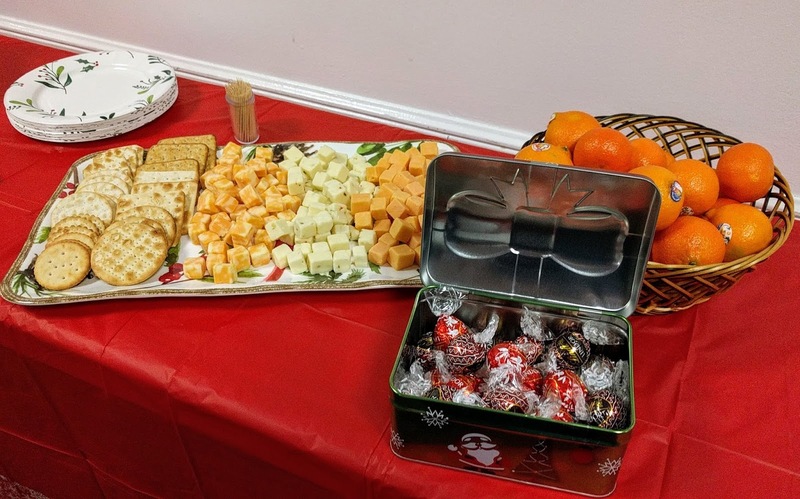 About $75 for twenty cookie tins, seven disposable seasonal tablecloths, seasonal paper napkins, chocolates, satsumas, and a cheese and cracker tray. Coffee and water is always provided by the library, so those were not factored into my costs. 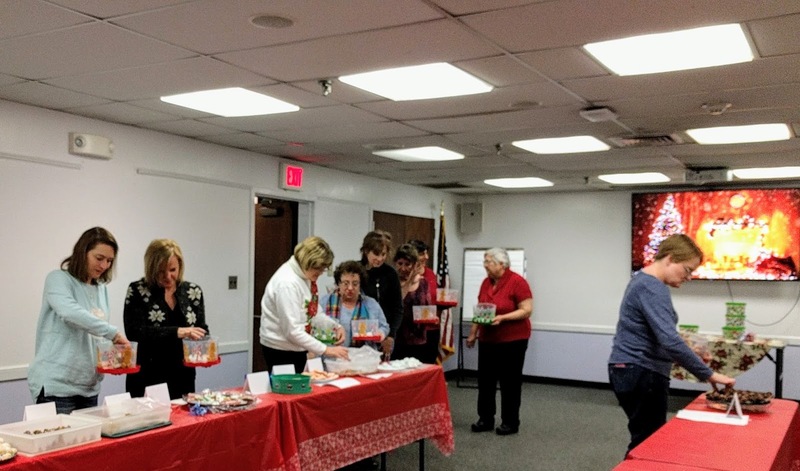 Aside from the seasonal tablecloths and paper goods, I didn’t have much going for seasonal decor and the program room looked a bit drab. Happily, I remembered the wall-mounted flat screen TV had integrated Internet so I pulled up a long-playing YouTube video of a crackling fireplace set to instrumental carols and that was that! 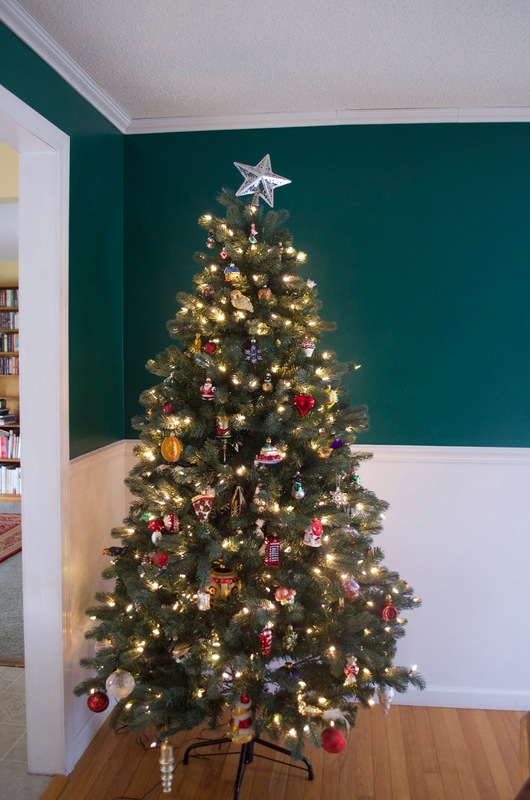 Actually finished decorating the tree before Christmas Eve this year. 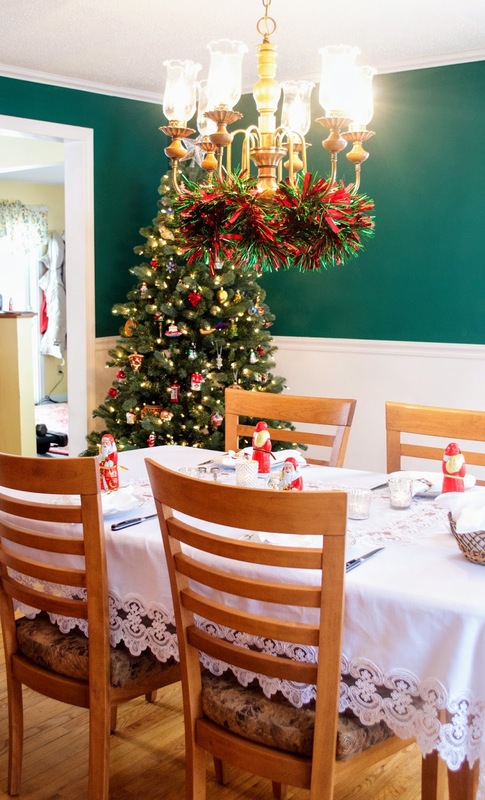 Last few years, it's been a mad sprint to get it decorated before guests arrive. Sometimes, I am tempted to have a tree decorating party ... but that feels rather too much like Tom Sawyer and the fence. 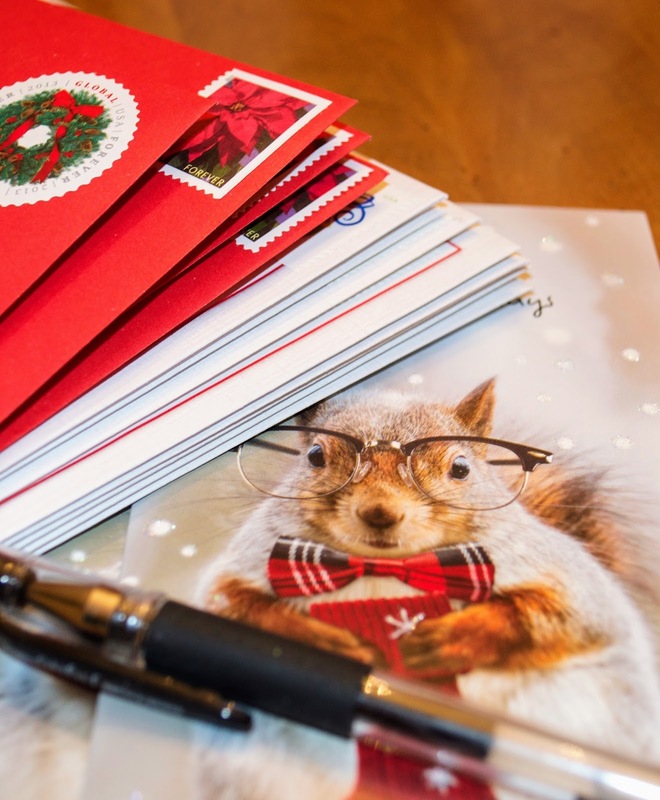 Getting the Christmas cards out a little late (again) for international delivery. It's the thought that counts, right? 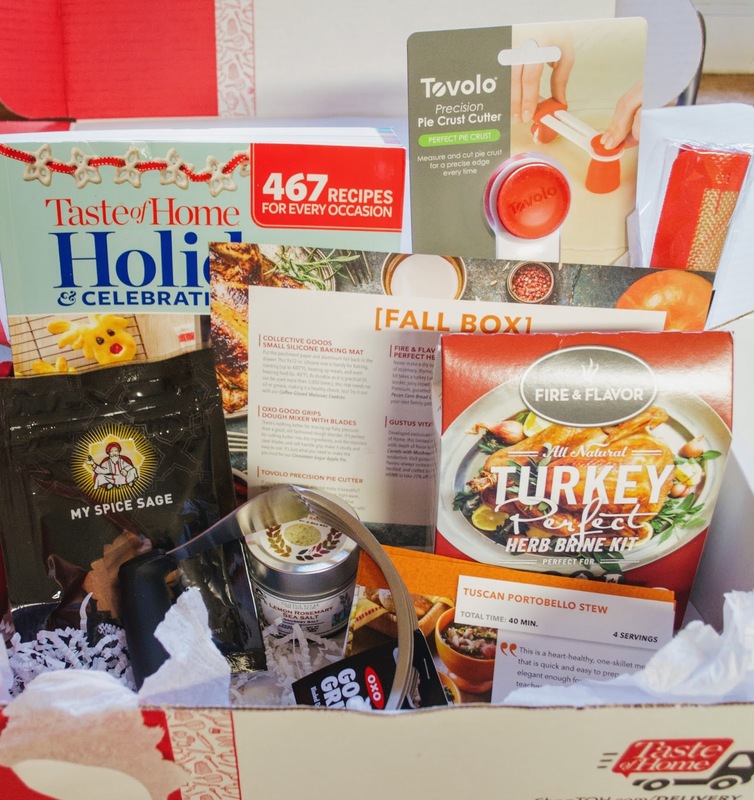 The revamped Taste of Home subscription box service -- formerly Taste the Seasons, but now Special Delivery From Taste of Home -- continues to be wonderful and the autumn box was full of so many nice things. Taste of Home Taste of Home Holidays & Celebrations -- A 2015 publication. Broken into seasons, this cookbook covers all the major secular American holidays as well as more casual events like pool parties and afternoon tea. I'm hosting Christmas this year, so the winter section is currently quite thick with sticky notes. The Beef Tenderloin With Mushroom-Wine Sauce or Roger Bowld's Salt-Encrusted Prime Rib are currently vying for entree. Oxo Good Grips Dough Mixer With Blades. I already own this pastry blender and it works really well for dough ... and egg salad. I will probably give this new one away as a door prize during the library cookbook swap I'm organizing for April. Tovolo Precision Pie Cutter. It's a compass for your pie crust! Attach the edge blade you desire -- loose wave, tight wave, scalloped and straight -- plonk the "pivot" end down on the middle of your rolled dough, then rotate the arm around to cut the prettiest circular crust. I have not actually tried this yet -- pie crust is my nemesis -- but it looks pretty easy. Maybe, I'll make a chicken potpie? Kitchen Envy Small Silicone Baking Mat. A 9"x12" flexible nonstick baking liner. Perfectly fits my quarter sheet pan. My mat came rolled up in a tube, but flattened right out when I unrolled it. It feels nice and sturdy, as if it will last a while, and I like that it is pre-marked for optimal cookie, etc placement. Fire & Flavor Turkey Perfect Herb Brine Kit. I've never brined a turkey before -- it just seemed like a lot of effort and I've always had a vague feeling I'd managed to do it wrong and ruin dinner -- but the display of Fire & Flavor brine kits are Bed, Bath and Beyond were seriously tempting me last month, so I'm glad this came in the fall box. The kit includes brine mix, brining bag, recipes, and instructions. I just supply the turkey, water, sugar, vinegar, and ice. Gustus Vitae Rosemary Lemon Sea Salt Gourmet Salt. This flavor was developed exclusively for Taste of Home which is a little frustrating. On the one hand, it's cool I have a unique product unavailable to anyone else. On the other, I will not be able to acquire more of it. And it is yummy stuff. Currently, my favorite use is to sprinkle it over hot popcorn, but it's really good on salmon, too. The tin is magnetic so it can stick to your fridge or whathaveyou, but I find the lid leaks a little and so prefer to store it flat in my spice drawer. My Spice Sage Cinnamon Stick Chunks. My Spice Sage products make a regular appearance in Taste of Home boxes and I'm always pleased to see them as they're always good quality. This cinnamon sticks are broken into one-inch chunks which makes them easier to fit into mulling spice balls or herb bags. So far, I've used some of mine to make "Slow Cooker Spiced Apple & Pear Butter." Again, I continue to be impressed by this revamped subscription box service and look forward to seeing what the Winter Special Delivery From Taste of Home box has in store for me. 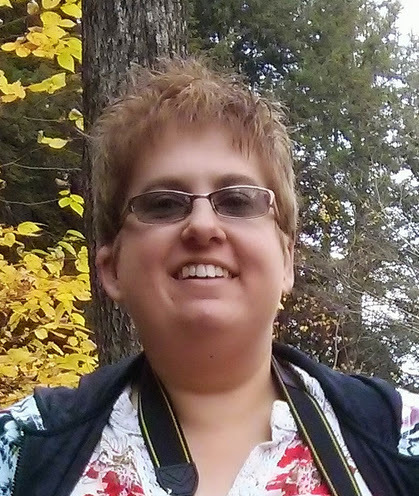 Read about my experiences with Special Delivery and its precursor, Taste the Seasons. 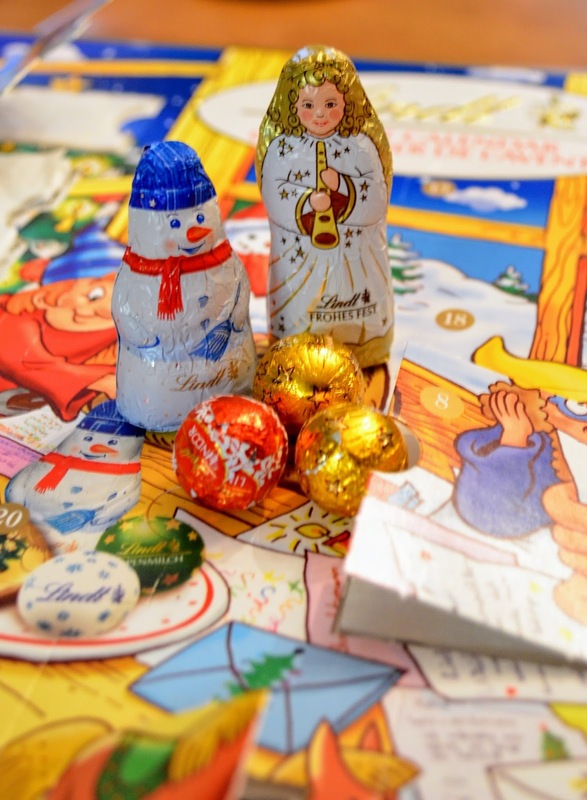 Already fallen a few days behind with the Advent calendar!